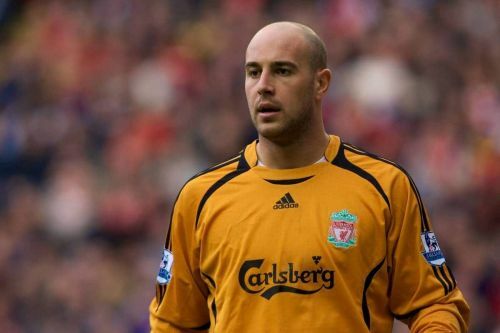 Pepe Reina played 394 games for Liverpool across eight seasons with 284 appearances in the Premier League. Although Reina only won four trophies with the Reds, he is considered one of the greatest goalkeepers to play for Liverpool. Reina won the Premier League Golden Glove award in his first season with Liverpool during which he kept 20 clean sheets. Since the Golden Glove award has been introduced, only two keepers have kept more than 20 clean sheets in a season - Petr Cech in 2004/05 (24) and Edwin van der Sar in 2008/09 (21). The Spaniard went on to win the Golden Glove in three consecutive seasons and became the first player to achieve the feat. It has since been matched only by Joe Hart for Manchester City. In fact, only Hart and Cech have more Golden Glove awards than Reina and both players have played in the Premier League longer than Reina. Reina came close to winning the league title with Liverpool in 2008/09 before he left to join Bayern Munich.